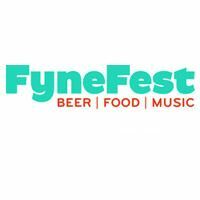 Describing itself as ‘the UK’s best wee beer, food and music festival’ Fynefest is a celebration of the local area it calls home, the produce of the area and fantastic music. It has grown considerably from a tiny event in a brewery courtyard to a full-on camping festival. Held in the fields beside the Scottish Fyne Ales Brewery in Argyll the festival is hoping to build on the 2000 people who attended in 2014 with this year’s festival. There are plans for 20 live acts with some already announced including Daniel Mead and the Flying Mules, The Lush Puppies, Bombskare and Dr Hip and the Blues Operations. The Festival also has a core focus on local ales and food, although additional entertainment including acts for younger festival goers has also been planned.